Until yesterday afternoon, I had never seen ducks being herded. 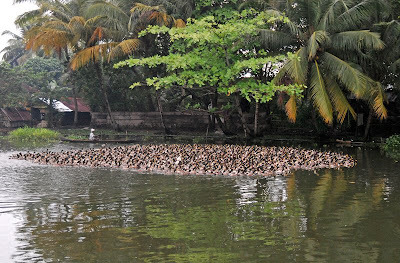 I’d heard of dogs herding ducks, but here on the backwaters of Kerala there are no dogs herding the ducks . . . they are herded by men in canoes (see pictures below). 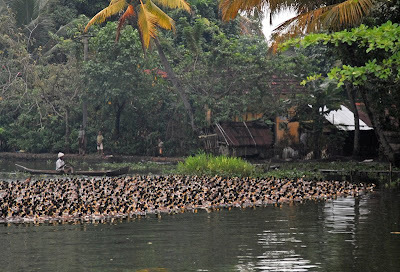 They swim along the Kuttanad canals in a sort of bulging V formation, squawking and splashing as they go. It’s amazing how the ducks at the front seem to know where to go, because the men in the canoes just follow from behind. 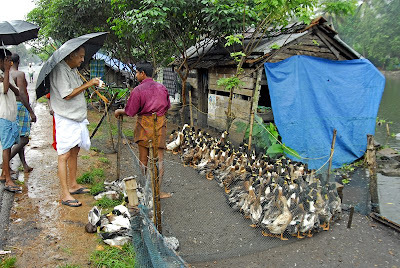 I believe these are a breed of ducks called Indian Runners – but I am not an expert on ducks, so I stand to be corrected if I am wrong. 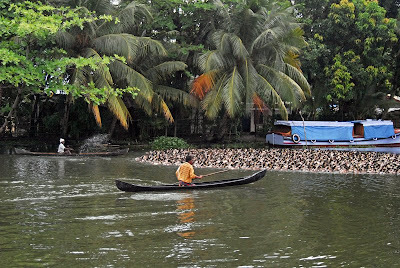 Note how the man in the canoe in the picture below (the one at the back) is splashing water with one of his paddles to keep the ducks moving forward. On the road between Alleppy and Changanassery this morning. 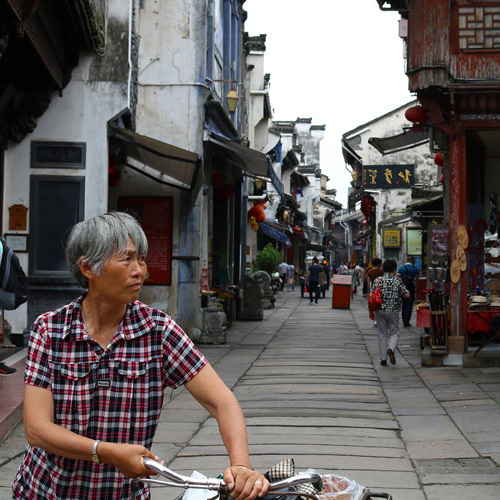 I spotted quite a few places alongside the canals selling fresh ducks. They are very fresh because the vendors kill them on the spot for their customers (a quick twist and jerk of the neck is apparently all that is required). I felt a bit sorry for the ducks in the picture below (the ones on the right) because they all look like they are saying “don’t pick me, don’t pick me” (click on photo to enlarge). The ones on the left outside of the fence have already been killed. Not a place that I would recommend stopping if you have young children with you!